3 Tier Technologies was founded in 2003 with breakthrough advances in natural humic acid and Polyelectrolyte Enhanced Bio-Polymer production and the development of Carboxx, a revolutionary natural molecular transport system that delivers beneficial organic structure and available carbon in quantities never before available. Today, we manufacture and distribute a new generation of products for turf, crops and a variety of environmental bioremediation solutions. Our products provide a unique combination of ecological and economic benefits for a variety of industries and challenges. All our technologies use the “Next Generation” of natural and organic components delivering high-powered, cost effective, and environmentally safe solutions. Headquartered in Longwood, Florida, we meet the needs of customers worldwide through a distribution network reaching to North, Central, and South America as well as Europe, Asia, Australia and beyond. 3 Tier is NOT just a product manufacturer. We are a technology driven company firmly focused on the needs of the customers we serve. We offer continuous research and product development and an uncompromising commitment to the highest standards of service. 3 Tier works in close partnership with our customers offering innovative, natural solutions that are right for the times. We measure our success by your success. Our products, manufactured exclusively in the United States, outperform traditional, chemically-based alternatives. Our protocols provide the highest levels of quality control and safety to our users and the environment. The distributors with whom 3 Tier partners are staffed by knowledgeable consultants who match our full line of products and protocols with the specific needs of their customers. Whether you’re addressing a variety of environmental cleanup issues, manage turf, or grow crops, 3 Tier meets today’s challenges with innovative solutions and creates opportunities for tomorrow. 3 Tier’s experience began after Hurricanes Katrina and Rita devastated southern Louisiana and Texas in late 2005. Our initial response was focused on helping farmers in that region restore acres of damaged soils from salt water flooding. 3 Tier developed a fast acting soil treatment to manage the excess salts from the floods and regenerate the fields for immediate production. After these initial successes, we became part of the coastal restoration task force with the Army Corp of Engineers and the NRCS and have been a product provider to those efforts ever since. In 2009, 3 Tier acquired its sister company which specialized in various wastewater management and remediation products creating a new division of 3 Tier focused on environmental issues. Since this acquisition, 3 Tier has developed a complete suite of products delivering the next generation of high performance remediation and treatment products using multi-action natural components that service the wastewater, bio-remediation, and specialty solutions for most industries. In 2010, 3 Tier’s proprietary product, Soil RX, gained approval from the US EPA as a certified NCP Schedule 40 product approved for federal and national emergency response cleanup. This next generation bio-remediation product has grown in popularity for specialty in-situ remediation of a variety of hydrocarbon sites around the world. Due to our corporate policy of confidentiality, we do not make public any information about our customers without their specific approval. However, anonymous research reports and critical data are available. Specialty and traditional wastewater management including sludge correction. With over 60 years of experience in soil and water treatment, our science team has a thorough understanding of the challenges facing the energy industry. 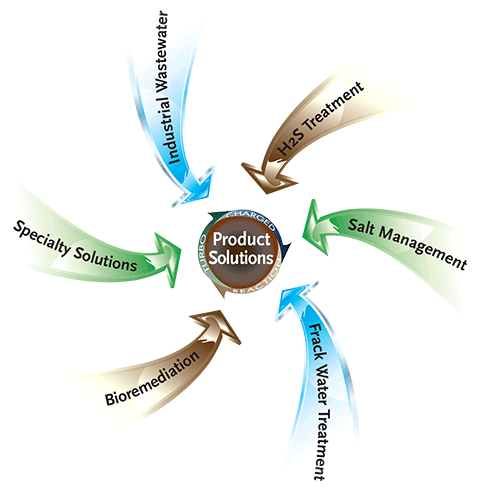 Whether its heavy metals, hydrocarbons, sludge build-up or nutrient management, 3 Tier offers a performance-based spectrum of products, plus the ability to quickly develop or alter a product for a specific need. 3 Tier’s rapid and sustained penetration into the energy field is due to established methods and tests to validate performance and results. Our team of experts continues to meet the challenge of problems that lack consistent solutions. LEARN MORE ABOUT HOW 3 TIER TECHNOLOGIES CAN WORK FOR YOU! CONTACT US TODAY! Our distribution network meeting the needs of customers worldwide.